Your garage door can reflect up to 40% of your home’s exterior, depending on the design of your home and garage. This is one reason that it is important to choose a door that best complements your home and satisfies your needs. 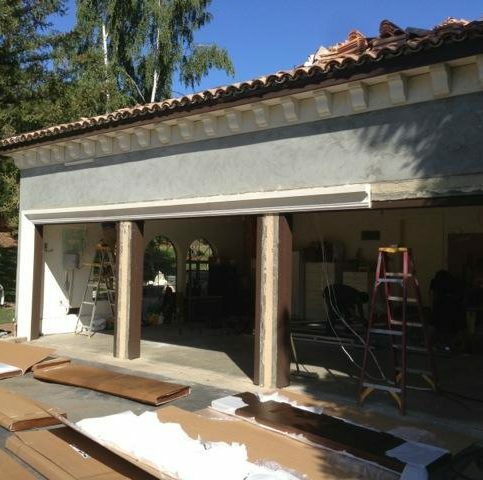 Furthermore, installation of a garage door is not a job that you can do alone. A garage door is most likely the largest moving object in your home which means it has a large number of small parts. Installation is highly technical. So, all things considered, it is important for you, your family, and your home to find an outstanding garage door company that can install, service, and repair a garage door for your home or commercial company that is just right for you. 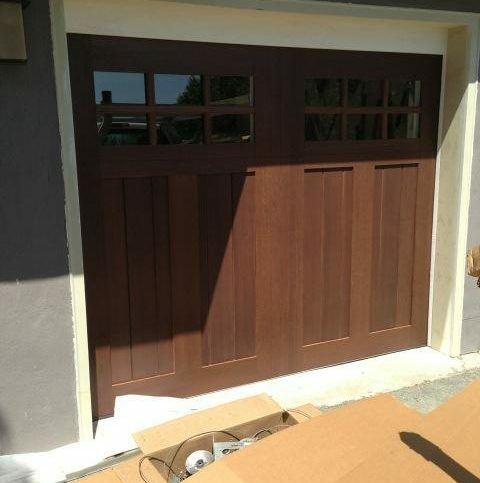 Garage door companies install, service and repair garage doors for residential and commercial customers. A large variety of door sizes, colors, and styles from custom wood, steel and copper are offered. Many companies also install roll-up and sectional doors for commercial properties. Garage door openers as well as the garage doors themselves can be repaired and maintained through a garage door company. 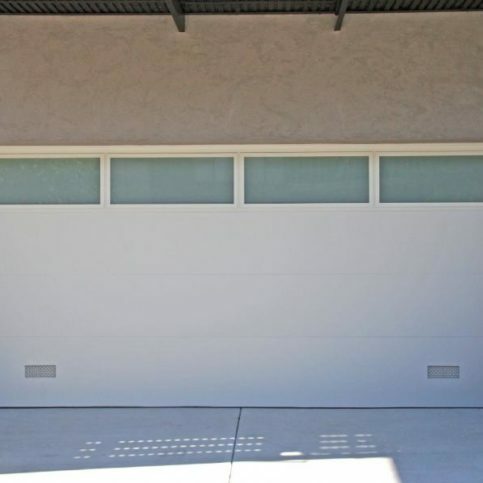 Before purchasing a new garage door, there are several factors to consider. A few of them are listed below. 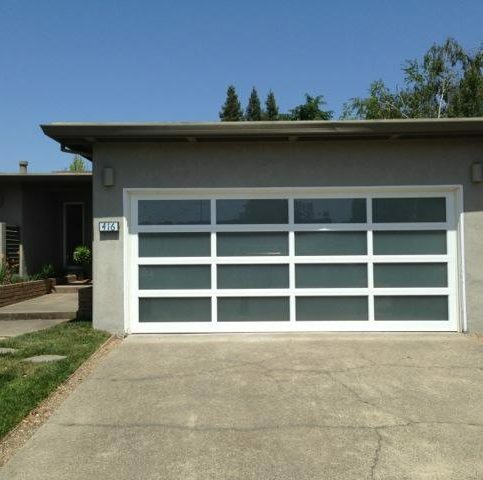 One type of garage door is a swing-up, otherwise known as a tilt-up, garage door. A tilt-up garage rotates out and upward in order to open. The least expensive of all garage doors, the swing-up garage door has some disadvantages. It is unable to operate if objects are in close proximity to the door. Also, these types of doors let snow and water in. 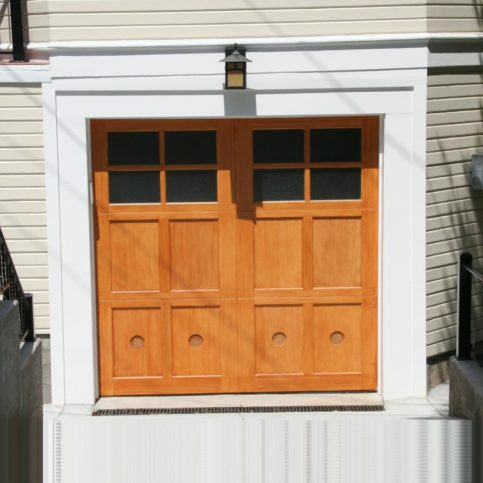 Wood garage doors are offered in various designs such as short recessed panels, long raised panels, and flush designs. 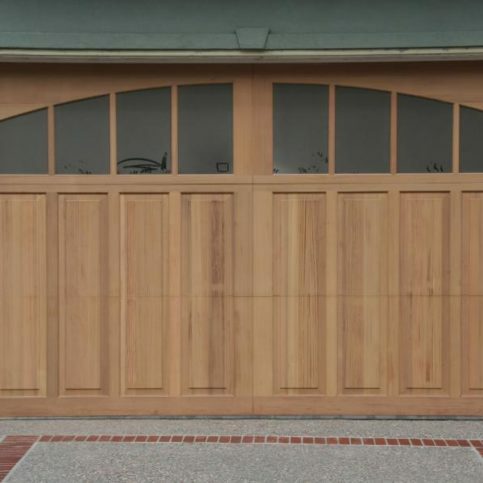 Garage doors are constructed out of four types of material: wood, steel, aluminum, and fiber glass. Wood doors are more economical and have a natural look. Wood doors do require regular maintenance in order to stay in top shop. They can be painted to match the house or covered with siding. The cost of the wood door varies depending on the type of wood and the construction of the panel. Aluminum garage doors are easier on mechanisms because they are light weight. This makes them last longer. 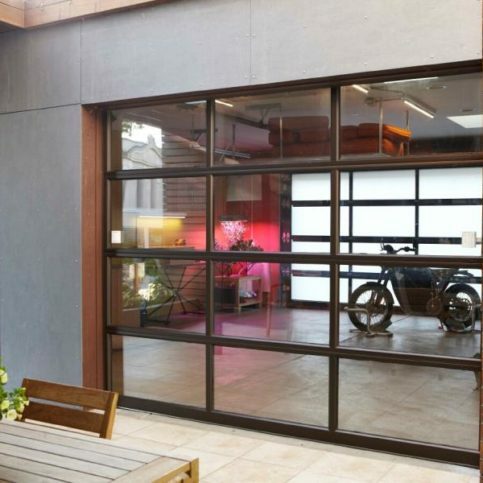 There isn’t a lot of difference between aluminum and steel garage doors if the door is 12 feet wide or less. But the good news is that when a garage door is worn out, aluminum is recyclable, which, of course, is good for the environment. Fiberglass doors are available in several designs, finishes and colors. Because they break easily and don’t provide good insulation, fiberglass doors are not recommended for cold climates. 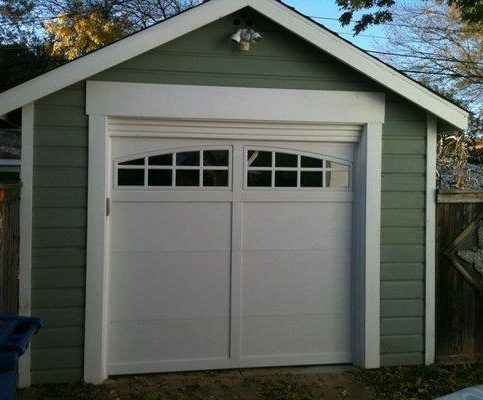 It is very important to find a company that offers a warranty on both the garage door and the installation. If professional installation is needed, make sure that it is included in the price of the garage door. Also make sure that the previous garage door will be removed at no extra charge. The R-value on a garage door lets you know how well it insulates. Insulating a garage is important for many reasons. If you enjoy spending time in your garage or have a workshop in it, then you’ll want the garage area to stay warm during the winter months. Secondly, if your garage is connected to the rest of the house, the temperature of the garage can affect the temperature of your home. If your garage isn’t attached to the house and you don’t spend any time in your garage during winter months, then it may not be as important for your garage to be well-insulated. Usually standard headroom applications require 12″ to 18″ of space between the bottom of the opening header and the unobstructed ceiling. 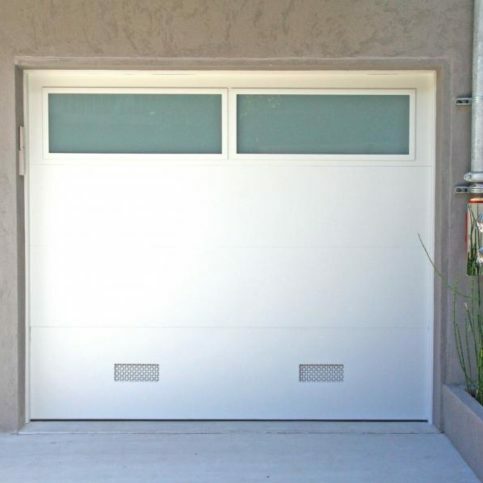 Some garage door companies do have specialized custom-built applications that enable them to install a door safely and securely using a low-headroom track. Check with your garage door company to see if this option is available, if needed. 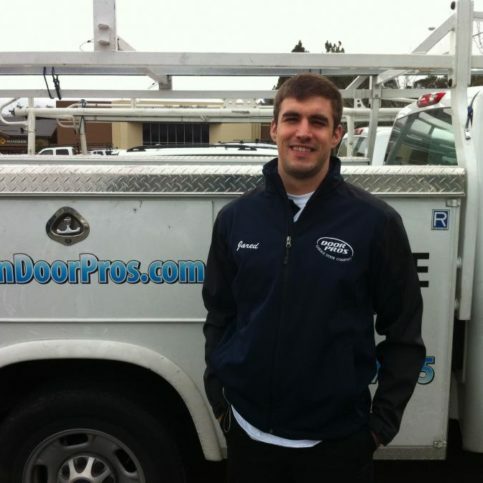 Professional installers can install a door in a few hours and ensure that all safety requirements are met. Incorrect installation can void certain warranties so it is imperative that a professional handles the job. If you are unable to lift your garage door with one hand, no matter the size, then most likely your gage door is unbalanced. A garage door system is designed to take the weight off of the door. If it won’t lift easily, only a professional garage door installer should be called to fix it. In areas of high wind, garage doors can be blown off of their hinges. Special steel-reinforced garage doors are made that use heavy-duty hardware and can withstand winds from 75 mph to 170 mph. If you reside in an area that is subject to very high winds, ask your garage door company about the local standards for the garage doors that they install. 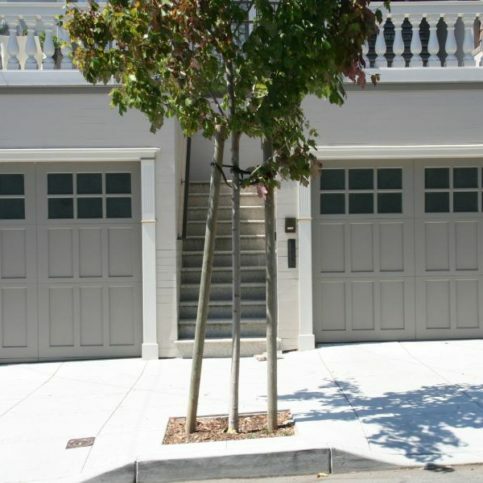 With the increasing value of vehicles has come a greater demand for more secure garage doors in San Francisco, including the larger neighborhoods of Excelsior, Pacific Heights, Nob Hill, North Beach, and Bayview District. As a result, home owners have come to depend on increasingly high tech products to protect their investments at home. 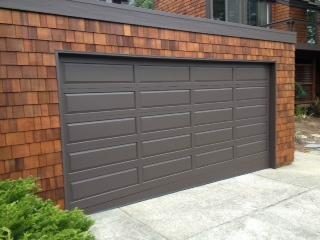 Garage doors are no exception. 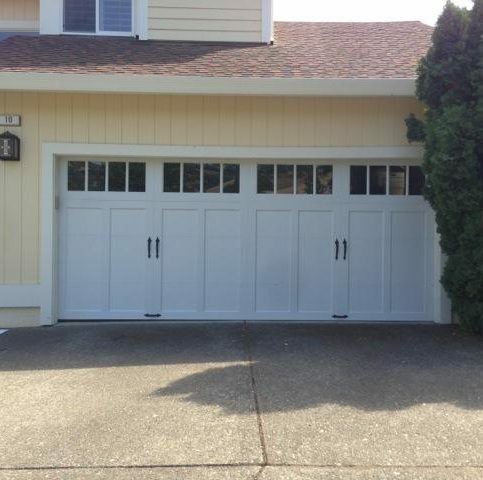 Listed below are factors to consider before purchasing a garage door. Prices vary depending on the material and the size. 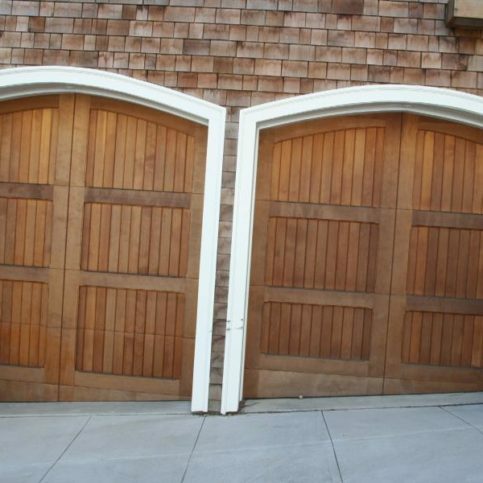 For example, doors made out of wood are typically more costly than steel garage doors. However, with that said, you can also buy a garage door made out of wood that has a laminate fish that recreates a very realistic wood effect. Beware of a Aeocheap’ garage door. Often the cheaper doors use cheaper parts which can mean a problematic purchase. The mechanism of the garage door is yet another important consideration. Many people choose a garage door by design or size with little thought to how it may operate. The operating mechanism for your particular garage door is based on the areas inside and outside your garage. 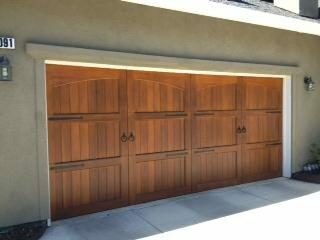 It is imperative to have the right type of door as well as the correct size in order for your garage door to work at its best. A standard size garage door may not work well in your garage, leaving you to make great adjustments around the sub frame. This will compromise the overall performance of your door and frame. Check with a specialist regarding the best door and motor combination for your garage. Most modern garage doors have exceptional locks that will resist break-ins. However, resistance to an attempted break-in is governed by the strength of the actual door panel itself. If a door panel is made from a fairly thin plastic material which can be cut through with a sharp knife, then obviously someone can gain access to the garage fairly easily, regardless of an excellent door lock. Mechanisms may require some attention on occasion, especially if the door is frequently used or if you live near salt water which may cause corrosive effects. But higher quality garage door mechanisms typically have components that are galvanized in order to get the most out of the life span of the mechanism itself. Why Trust Diamond Certified Garage Door Companies Rated Highest in Quality? 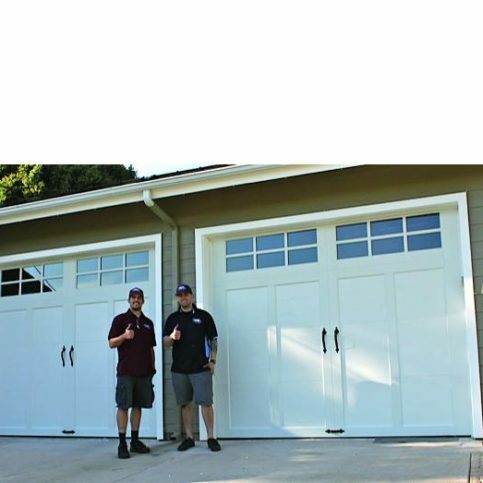 Two Door Pros technicians stand in front of a recently finished garage door installation. 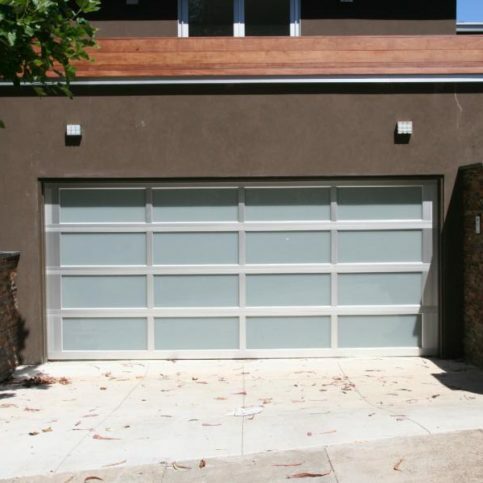 Many factors should be considered before selecting a garage door company in San Francisco, including the smaller neighborhoods of Barbary Coast, Cow Hollow, Diamond Heights, Hunters Point, Outer Richmond, and Russian Hill that will meet your needs the most successfully. Write down everything that you’re needing for before you begin your research. Consider the following questions before making your final selection of a garage door company. What style of garage door do I want to have? (windows, raised panels, ribbed, etc. How long will it take for you to completely install a garage door? What specials are you running any specials at this time? Do you have ten recent customer references that I may call? 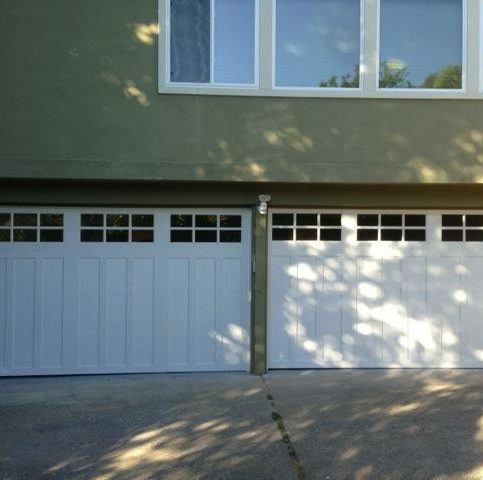 It’s best to choose a Diamond Certified garage door company in San Francisco, including the larger neighborhoods of Excelsior, Pacific Heights, Nob Hill, North Beach, and Bayview District, because all certified companies have passed an in-depth ratings process that most other companies can’t pass. If you want quality from a garage door company in San Francisco and the greater Bay Area, you can have confidence choosing a Diamond Certified company. Diamond Certified reports are available online for all certified companies. And you’ll never be fooled by fake reviews. That’s because all research is performed in live telephone interviews of actual customers. 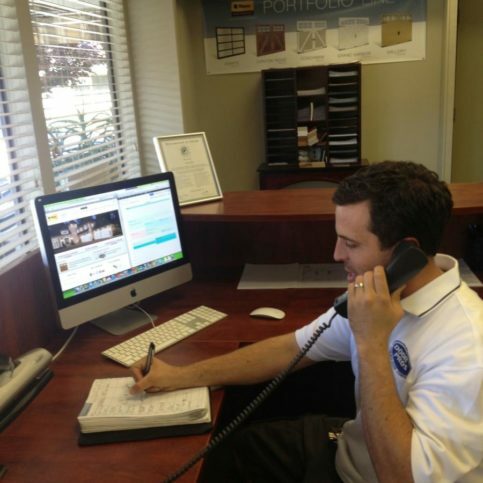 If you can’t locate a Diamond Certified garage door company within reach, you’ll have to do some research on your own. If you do, it’s sensible to call some references provided by your garage door industry. Keep in mind, though, that references provided to you by the garage door company are not equal in value to the large random sample of customers surveyed during the Diamond Certified ratings process. That’s because references given to customers from companies are cherry-picked instead of randomly selected from all their customers. So the contractors will likely give you a few customers to call that they know are satisfied. If you do phone references on your own, specifically request a list of the company’s ten most recent customers. This will help avoid them giving you the names of only customers they know were satisfied. Were you satisfied with the services from _(garage door company name)_? When you need a new garage door in the future, will you consider hiring this garage door company again? Your selection of a garage door company is a very important decision for you and your family. So before making a final decision regarding which garage door industry in San Francisco is best for you, it’s important to consider the following questions. What colors, finishes, and window options are available with my selected garage door? Does the garage door come with a warranty? What is the counterbalance spring mechanism of my garage door of choice? For example, extension or torsion. 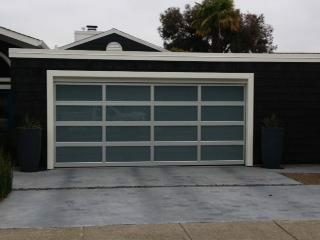 Now that you’ve located and chosen a local garage door company in the larger neighborhoods Sunset District, Richmond District, Mission District, Tenderloin, and Bernal Heights and surrounding areas, that meets all your ideals, it’s the perfect time to ask for a written contract. This contract should include written details on the price, quality and materials to be used, as well as the job start date and intended completion date. Before you sign the contract, read and be positive you understand all the terms and limitations. The contract you sign is binding, and should protect your property and your interests, as well as those of your contractor. For this reason, you should never sign a blank or incomplete estimate. When signing the contract, don’t hesitate to write in special requests or verbal agreements. This will protect you and help ensure you get the services you have agreed on. Along with end dates and any special instructions, these add-ons may also include related issues that aren’t always covered by a standard contract. For example, regardless of how careful your contractor promises to be, damage can unexpectedly occur when putting in a garage door. But you can protect your property by being proactive. Before the work begins, schedule a walk through with the company supervisor and conduct a pre-work inspection of your property. List or photograph your garage and talk with a company representative about reasonable expectations for protecting your garage during the work. When you’ve reached an agreement, both you and the contractor should sign and date the document. When the work is done, do a final inspection together and verify that your expectations were met. When you’re happy with the information your San Francisco garage door shop has provided you, sign the estimate and service agreement. Verify that the garage door company has a phone number where they can reach you at all times. It’s the garage door company’s responsibility to install quality garage doors using the best possible installation techniques. But you play a big part in the success of your garage door company, too. 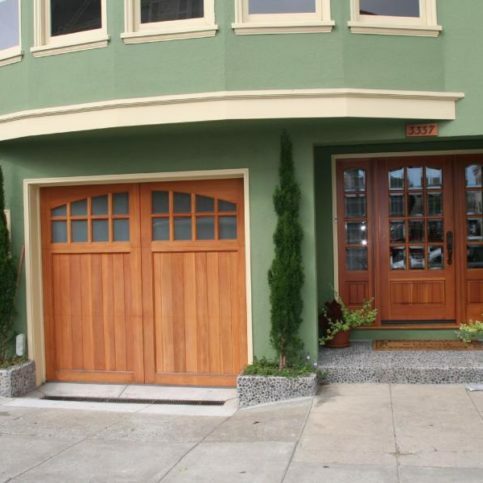 Here are a few simple steps you can take to be a good customer when hiring an San Francisco garage door company in the neighborhoods of Excelsior, Pacific Heights, Nob Hill, North Beach, and Bayview District and surrounding areas. 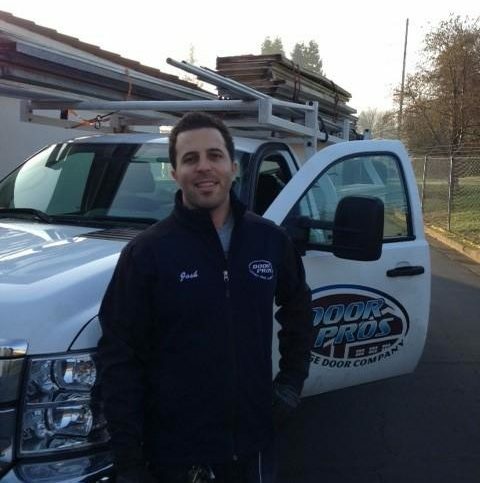 Be clear and honest with the garage door company. Let them know what you want, the long-term outcome you’re expecting and specific ways they can satisfy your expectations. When your contractor contacts you, return calls quickly to keep the garage door company on schedule. Pay for the garage door company’s work promptly. 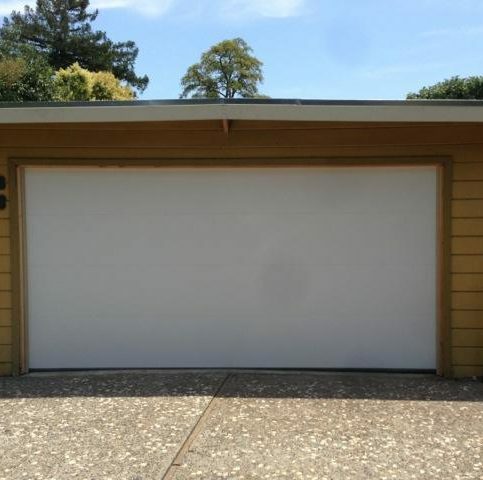 Before you hire a garage door shop in San Francisco, restate your expectations and goals, and explain to the garage door company representative your understanding of the agreement. Most problems with local garage door companies occur because of a breakdown in communication. By being clear about your expectations and theirs, you can avoid most conflicts. Why would you want to be a good customer? 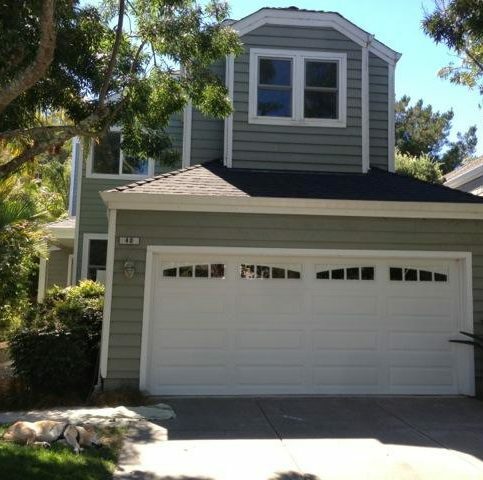 Garage door companies in San Francisco appreciate customers who are straightforward, truthful and easy to work with. Your cooperative customer behavior sets the tone from your end and creates an environment conducive to a good relationship. Things may very well go smoother and any problems may be more easily resolved. Your responsibility in the case of a garage door failure and what you should do in order to redeem the warranty. Whether or not garage door warranty coverage is transferrable to the new owner in the event that you sell the home with attached garage or the garage itself. 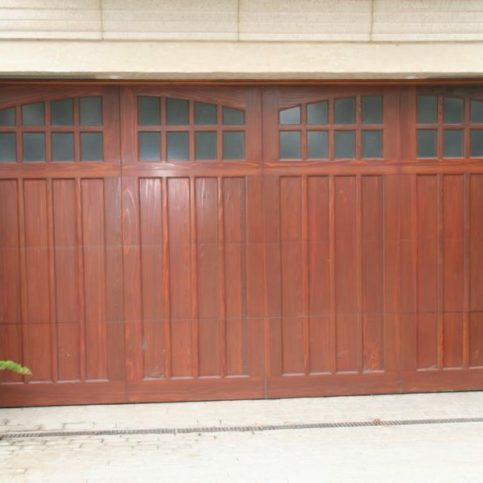 Aluminum garage doors are popular garage doors that share many of the characteristics of steel garage doors with optional faux wood texturing and long-lasting finishes. Aluminum is lighter and less expensive than steel. However, it is more likely to dent. Insulated garage doors have a higher R-Value factor. This means that they have more insulation in order to keep your garage warmer during the winter months. 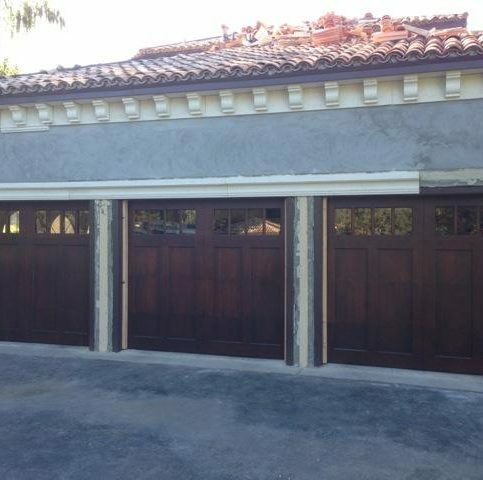 Steel garage doors are a traditional garage door well known for durability. They are available in classic raised panels as well as contemporary long panels. Many steel doors have a low-maintenance finish that keeps them looking great year after year. 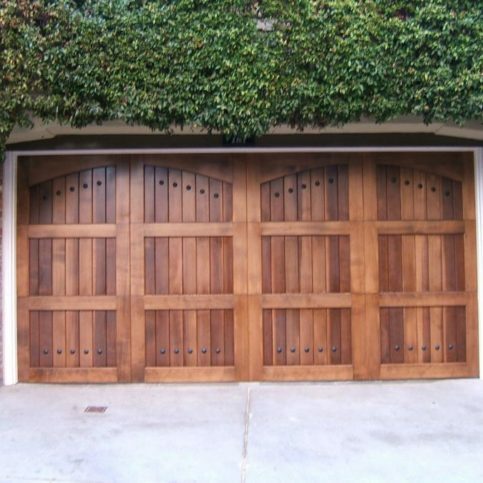 Wood garage doors are constructed out of wood and are strong, versatile, and built to last. Many companies are on the market for garage doors. 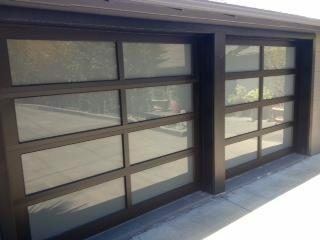 Following is a list of popular garage door companies that have had great success and have a good reputation. A: Diamond Certified helps you choose a garage door company with confidence by offering a list of top-rated local companies who have passed the country’s most in-depth rating process. Only garage door companies rated Highest in Quality earn the prestigious Diamond Certified award. Most companies can’t pass the ratings. American Ratings Corporation also monitors every Diamond Certified company with ongoing research and ratings. And your purchase is backed by the Diamond Certified Performance Guarantee. So you’ll feel confident choosing a Diamond Certified garage door company.